Via Keith’s Fantasy Club Weibo*we can share for you the first CGI renders of their next project: KFC Powermaster Optimus Prime Apex Armor / God Ginrai. There are the first early renders of KFC take on the Powermaster Optimus Prime with Apex Armor or God Ginrai if you prefer the reference to the Japanese Masterforce cartoon character. 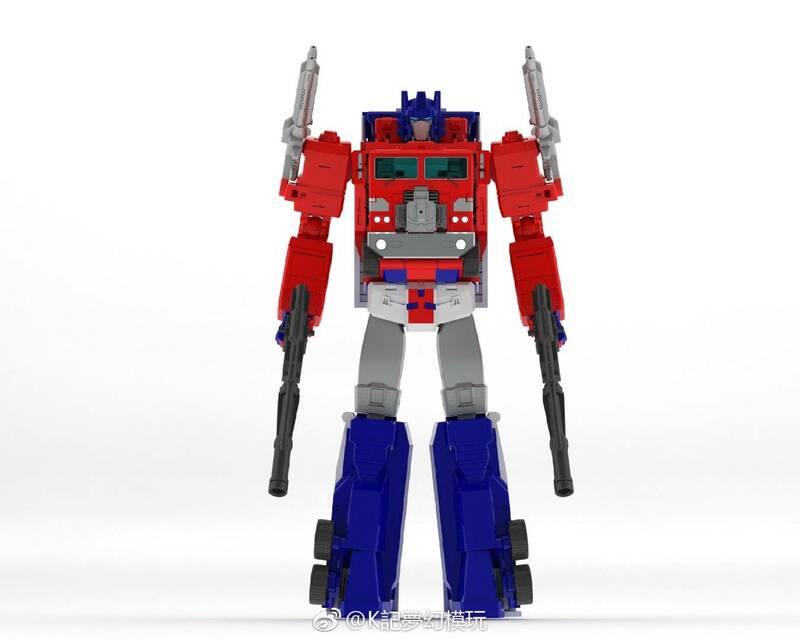 The renders show a figure heavily inspired by the original G1 toy. As we can see, the first trailer can combine with the cab, and the second trailer gives us the final power-up. The first trailer can transform into a base mode, &#187; Continue Reading. The post KFC Powermaster Optimus Prime Apex Armor / God Ginrai First Renders appeared first on Transformer World 2005 - TFW2005.COM.